An art lover's treasured collection of Canadian landscapes by the Group of Seven and other contemporaries is slated to go on the block in Vancouver this spring. 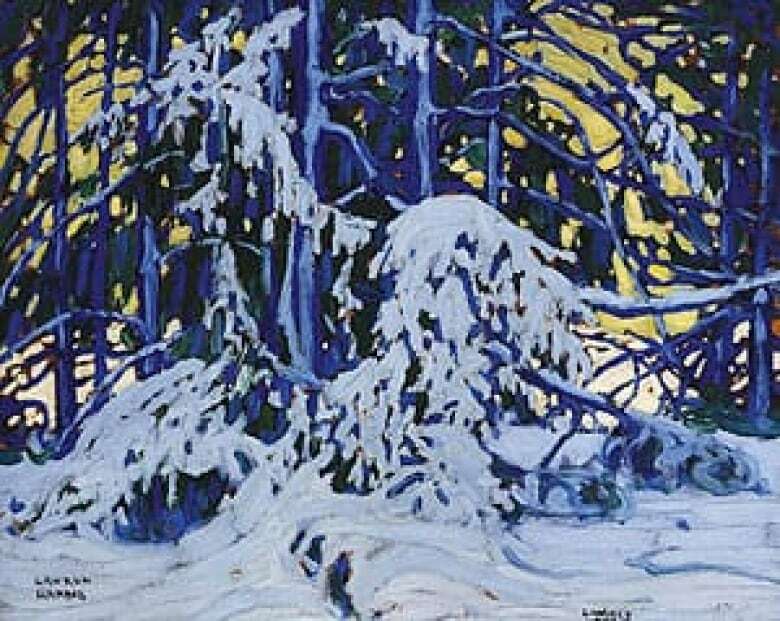 The impressionistic Lawren Harris painting Winter is among the Thornton estate's seven Harris works up for sale. It is expected to fetch between $300,000 and $500,000. ((Heffel Fine Art Auction House))An art lover's treasured collection of Canadian landscapes by the Group of Seven and other contemporaries is slated to go on the block in Vancouver this spring. Heffel's Fine Art Auction House has announced plans to sell three dozen paintings from the collection of the late Theodosia Dawes Bond Thornton. 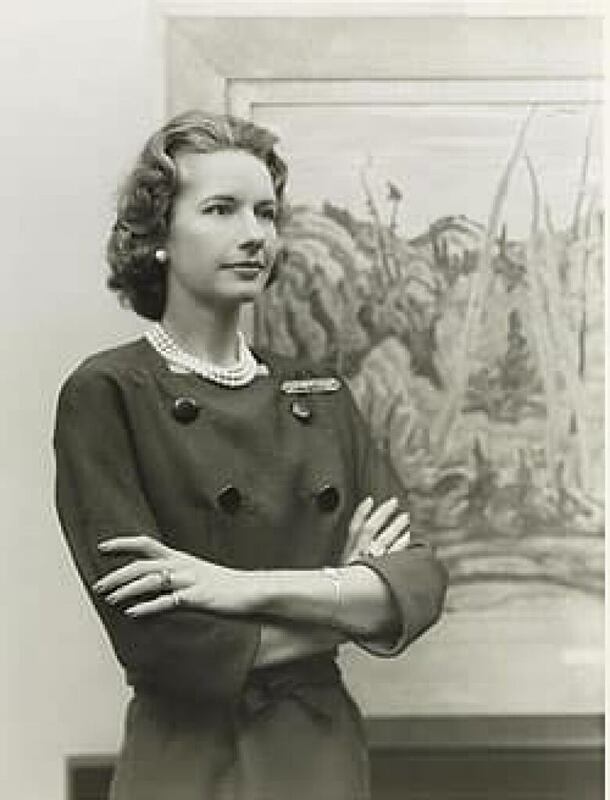 The daughter of a Canadian National Railway executive whose family spent much time travelling via train, Thornton was a Montrealer who built a collection reflective of landscapes she recalled from her childhood travels. Her collection, compiled over about 10 years after the Second World War, spans Canada from coast to coast. It includes Lawren Harris sketches of Newfoundland, Arthur Lismer's paintings of wild Quebec undergrowth and A.Y. Jackson's images of the Rockies. Art lover Theodosia Dawes Bond Thornton collected the works of the Group of Seven and their contemporaries after the Second World War. 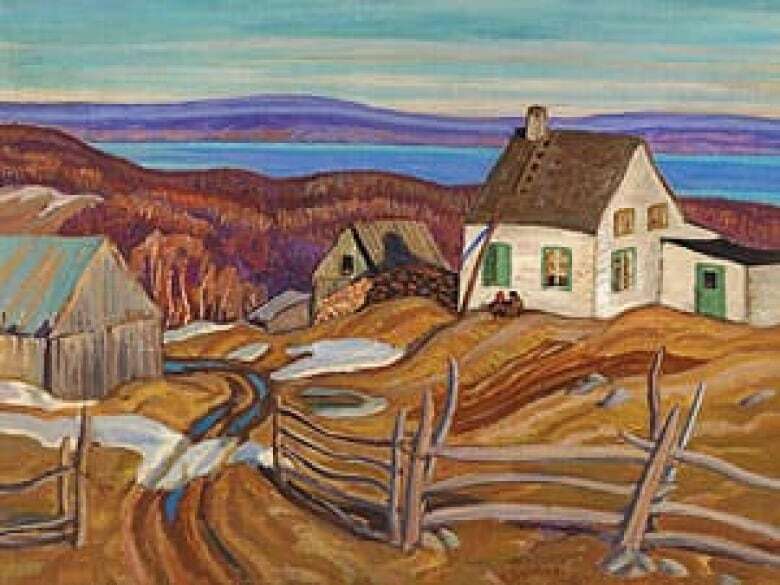 ((Heffel Fine Art Auction House) )"It was a good time for her to start collecting," auction house president David Heffel told CBC News on Monday, pointing out Thornton wouldn't have had as much competition from other buyers for major Group of Seven works and that, after a wartime economy, the artists themselves welcomed her patronage. "It was the golden era of art collecting." Thornton, who died at the age of 93 in October, amassed a collection that includes works she bought directly from artists such as Harris, Jackson and Lismer. At the time, the art dealing business was still young in Canada and it wasn't uncommon for collectors to directly contact artists in whom they were interested. Thornton was plucky and earnest about her passion for art in her letters to, for instance, Harris. "She had to seek out these artists independently," Heffel said, noting her creative and aggressive attempts. In one case, Harris sent along three panels for Thornton to peruse and select from. She nabbed them all for $75 a piece. A.Y. Jackson's canvas Spring Evening, Lower St. Lawrence (Early Spring) is expected to fetch between $175,000 and $225,000 at auction. ((Heffel Fine Art Auction House))Many of the 36 paintings Heffel will auction have not been seen in public since Thornton, who also trained in photography and took painting lessons from Lismer, acquired them. "With a work that's been 'time-capsuled' for 50 or 60 years … it's exciting for current day collectors," Heffel said. The 36 Thornton estate paintings will be on display in Montreal, Toronto and Vancouver before joining the lots to be sold at the regular Heffel's spring auction, which will take place May 26 in Vancouver. In November, paintings from another rare Canadian collection (including works collected by Group of Seven booster Charles Band) were among the highlights of the fall Heffel's auction in Toronto. One of the pieces, the oil sketch The Old Stump, Lake Superior, by Lawren Harris, fetched $3.5 million — the second highest amount ever paid at Canadian auction for a piece of art.